The Venetian Slovenia is a region stretching between two states, Italy and Slovenia, and two rivers, Soča and Tagliamento. Breginjski kot is the area in Slovenia which belongs to this region and forms the westernmost part of Slovenia. The region is very diverse since it lies on the edge of the Alps and the Dinaric Mountains. Southern valleys are open towards the Adriatic sea and bring sea air from the coast. The highest hills of the region are Stol (1673m) and Musca (Muzec) (1612m). 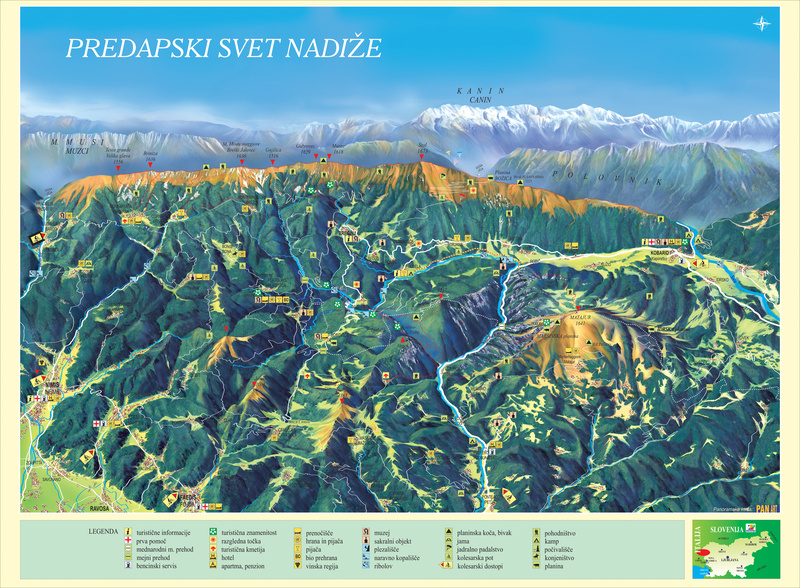 The hills contain the sources for the region’s most important rivers, the Nadiža (Natisone) and Ter. Breginjski kot is a steadily rising valley which begins at the village of Staro Selo and rises between Stol on the north side and Matajur and Mija on the south. The valley ends in the village of Breginj with a terraced amphitheatre, which was created in the last Ice age. From the town of Kobarid to Breginj there are 13 smaller villages scattered along the Nadiža river valley. In the westernmost part of the Breginjski kot there are two isolated villages of Logje and Robidišče. The stone houses which dominate the villages bear witness to times past and legends which still live in these parts.